The late-winter rescue of a group of dogs from a South Korean dog-meat farm has suddenly boosted the dog population at the Wisconsin Humane Society Door County Campus to the highest it has ever been. 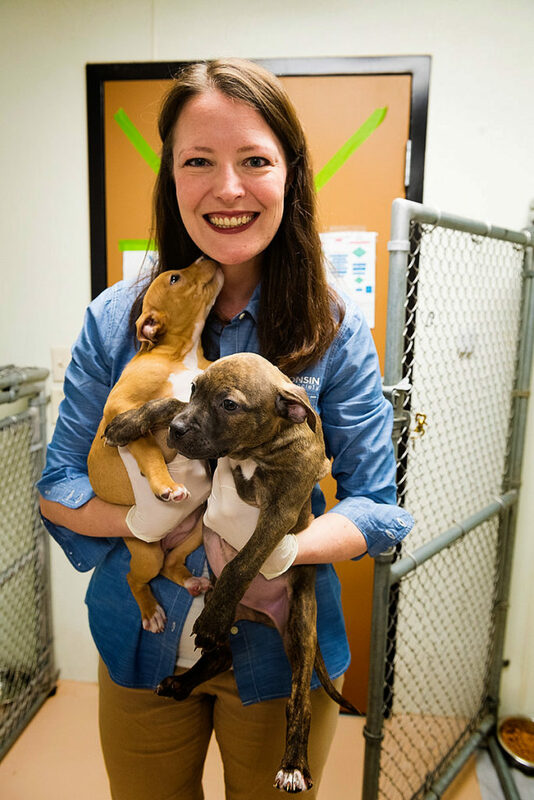 Neither the Door County shelter nor any of the four other Wisconsin Humane Society shelters took in any of the Korean dogs, but other Wisconsin shelters did. When two of the Korean rescues tested positive for canine brucellosis, a bacterial infection that is highly contagious among dogs, the shelters with the Korean rescues had to find temporary shelter for their local intake of found or surrendered dogs. The dogs arrived from the two other shelters last Friday and must remain in isolation for up to eight weeks, pending test results from the original group of dogs from Korea. Angela Speed. Photo by Len Villano. She said in the U.S. there have been only about 50 cases of dog-human infection since the 1960s, and those were limited to veterinarians and lab technicians. But, of course, it put a strain on campus staff and volunteers. It has also meant the shelter has had to put adoptions on hold for an undetermined time. The one exception to the adoption closure is several barn cats. New protocols and procedures had to be adopted to care for the dogs that will be in isolation for up to two months. And at the end of the isolation period? Watch the WHS website for adoptions to resume at the Door County campus. Despite a growing effort to put an end to dog-meat farms in South Korea, as many as 1 million dogs are consumed annually in that country. Although a South Korean court ruled last June that killing dogs for meat is illegal, it did not make it illegal to eat dog meat. The HSI has been leading the charge in ending the dog-meat farms practice in South Korea and has shut down 14 such farms, most recently a puppy mill that was raising dogs both for food and as friends. “Although HSI has found all sizes and breeds of dogs at its previous 13 dog-meat farm closures, this is the first time the charity has discovered a facility where puppies being born for the pet trade were being bred alongside others destined to be electrocuted and butchered for meat to supply local restaurants. Any pups unable to be sold as pets could also end up at the slaughterhouse,” HSI wrote in a statement about the February discovery. 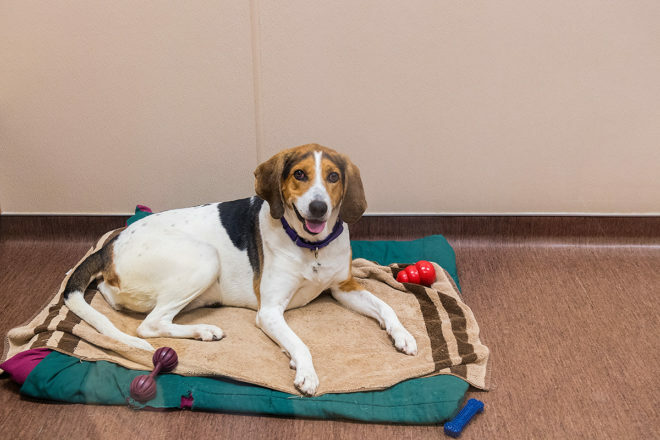 With the largest population of dogs ever under its roof, the Wisconsin Humane Society Door County Campus could use a hand, or, more specifically, peanut butter.